In a celebration that evokes both nostalgia and a real reminder of why the Rolling Stones are called “The greatest rock and roll band in the world”, this fantastic tribute is about the feel, the style and superior quality of the musicthat we all know as the Stones phenomenal legacy. 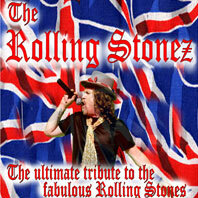 The Stonez show has been purposely constructed around that central theme that is the pulse of the Rolling Stones – the songs. The Retronomes indulge in what they love; and that is faithfully recreating the sound and style of the Rolling Stones music at their very best. The show you will get is packed full of hits from the Stones entire career.Special attention has been paid to retaining an authentic “feel” to the music and played with an energy unsurpassed on any Australian stage.